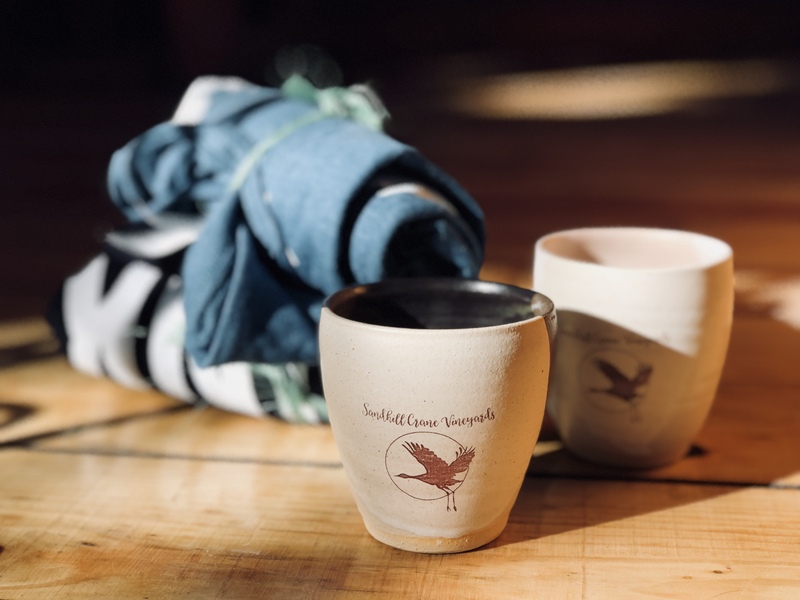 Attending one of Sandhill Crane Vineyards' Second Sunday Jazz Brunches has long been on our to-do list, but we live just far enough away — about 90 minutes — to make it one of those things that we kept putting off. Finally, I had obnoxiously commented on SCV's Facebook posts so many times, over so many months ("Wish I could be there!" "Sounds so fun!" etc.) that Colleen Peterson, the winery's public events coordinator, invited us personally to attend. It was the kick in the rear we needed to finally take the day off and actually put it on our calendars. Today’s Question: If you could ask Holly and Shelly anything during your private tasting, what would it be? The giveaway has ended. Stay tuned for the next one! Today’s Question: Besides great wine, Sandhill Crane Vineyards has an amazing café onsite that uses local ingredients! If you had to pick an item off the café menu to enjoy with SCV wine, which wine and which menu item would you choose? (Click here for the wine list and click here for the café menu). This giveaway is closed as of 11:59 p.m. May 3. Stay tuned for the next one! Head on over to our Facebook page to enter! The deadline for today’s giveaway is 11:59 p.m. Saturday, May 3. This edition of WIOG features wines we tried during a recent visit to the Pioneer Wine Trail, including stops at Flying Otter Vineyard & Winery and Sandhill Crane Vineyards. Since we end up tasting a LOT of Michigan wine (you may have noticed), WIOG is our attempt to give you an idea of some selections that you may be interested in checking out based on what we've been experiencing. Cheers! 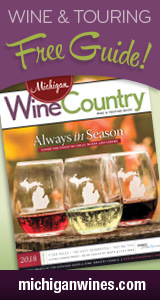 This edition of WIOG features even more of the wines we tried at the Michigan Wine Showcase at The Rattlesnake Club in April. As we often stress, we're not wine experts, but we do taste a lot of Michigan wine. (You may have noticed.) WIOG is our attempt to give you an idea of some selections that you may be interested in checking out based on what we've been tasting. Cheers!